Welcome to March Artisan Design Team followers! 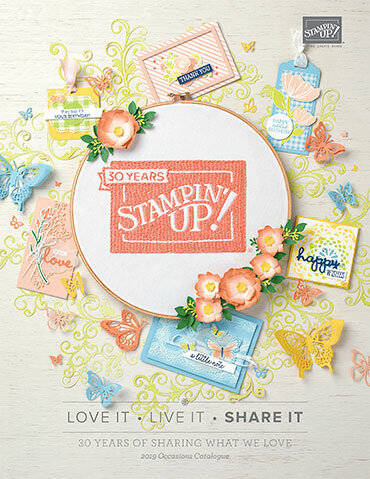 I am soooo looking forward to crafting with the March Stampin' Up! Artisan Box. Love love love! Squeal!! When I started my Artisan journey in August I blogged about it being a new love affair. I am happy to report that seven months later it is still sizzling! 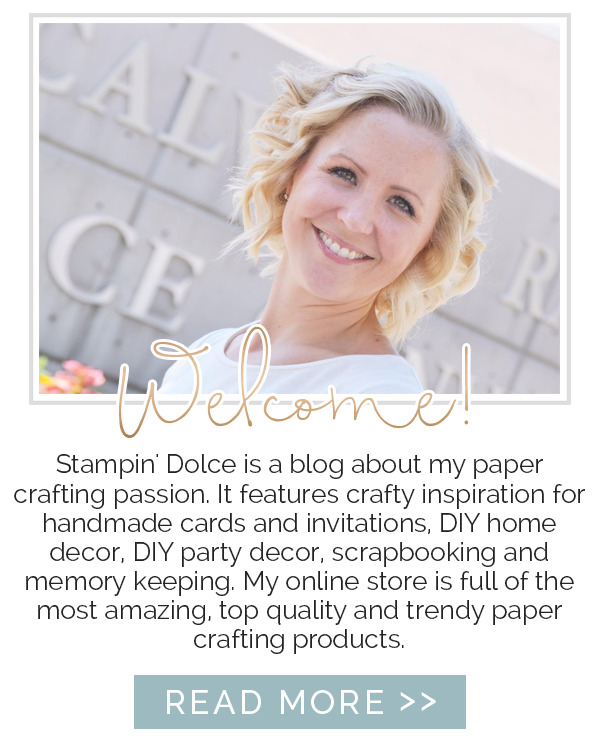 I can not keep my hands off of the goodies that Stampin' Up! sends. I have made so much time for "us" over these seven months including many long sleepless nights together *wink*. But all good things must come to an end, or so I thought. I found myself worrying about the honeymoon ending in August (Typical to be worrying about the end when I should be still enjoying the romance). Like anyone I just do not want the love affair to end! Then I received the absolute, most exciting news ... our love affair has been extended!!! I get to stay on as an Artisan Design Team member until October! 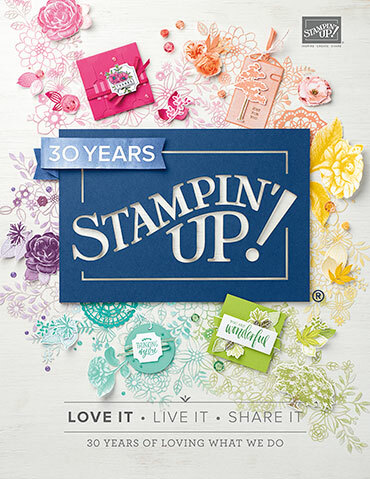 Now this is no diamond ring but who needs that when you have Stampin' supplies!!!! I think this week I designed the perfect projects to celebrate this news! Everyone needs to do more of what makes them happy, right?! In fact, I was at the doctor yesterday for my "check up from the neck up" and he reminded me that I need to say no, know my limitations and take time for myself. In other words, do more of what makes me happy! I should have got a doctors note for that, eh?! Sorry hubby, I can not cook dinner today. The doctor said that I need to say no and go stamp!!! This button is Whisper White but I covered with with Washi Tape to create a custom button finish! I used sewing thread to thread the button and add the loops of thread behind. 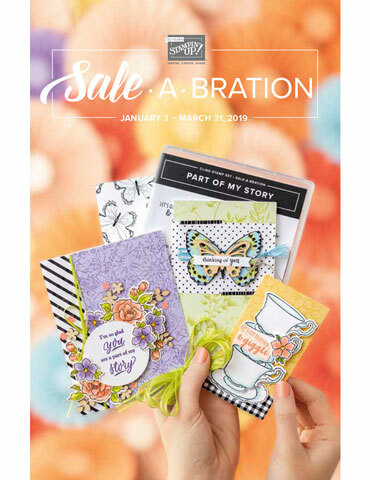 The button, Designer Series Paper & Washi Tape are all from the Sweet Dreams suite in the Occasions Catalogue. I am obsessed with the color scheme! Basic Grey, Crisp Cantaloupe, Hello Honey, Lost Lagoon, Sahara Sand & Whisper White. Yummy! Hello Life ... It can mean so many things! First to my mind is it would be to welcome a baby but I think there can be a lot more to it. You could gift this card for a retirement, for someone starting a new career, a graduation, an engagement, a wedding - for every chapter we celebrate in out lives! HELLO LIFE! Next on our hop is the wonderful Lisa Harlow. Click on over and see what she created this week! Thanks for reading my friends! Have a creative day!